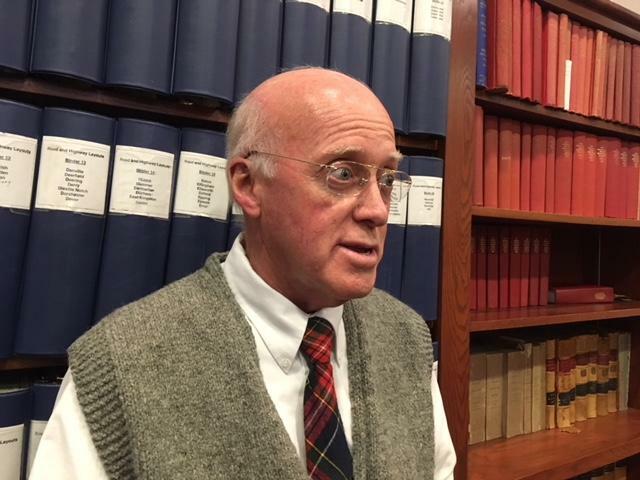 Five former New Hampshire governors -- Republicans John Sununu, Judd Gregg, Steve Merrill Craig Benson, and Democrat John Lynch -- want lawmakers to give Secretary of State Bill Gardner another term. The ex-governors say putting Colin Van Ostern in the job would place the independence of the office and the state’s presidential primary at risk. Former Governor John Lynch already spoke of Gardner’s behalf before the House Democratic Caucus voted 179 to 23 to back Van Ostern over Gardner. This open letter, cosigned by 4 Republican predecessors, ups the ante. The op-ed is the latest effort by political elders to help Gardner keep the job the he’s held since 1976. Lawmakers will decide if Gardner or Van Ostern gets to hold the job for the next two years on December 5th. The newly elected class of New Hampshire legislators barely had time to take a victory lap in their own races earlier this month before they started fielding messages about another campaign — this time, for the Secretary of State. New Hampshire House Democrats have put Secretary of State Bill Gardner — a 42-year incumbent and a longtime Democrat himself — on notice that he could be out of a job soon. Republicans in the New Hampshire House met today ahead of selecting their leaders. Several members are vying to lead Republicans as they move from majority to minority status, but the caucus seems united behind Secretary of State Bill Gardner. It's not out of the ordinary to see a New Hampshire politician skip across the state's southern border to raise money in Boston. What is unusual — really, unheard of until this year — is to see that from someone running for Secretary of State.